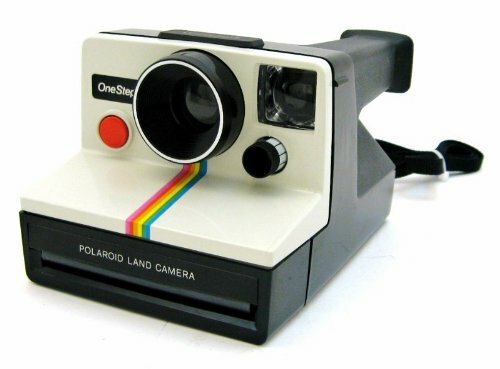 Until I was dragged kicking and screaming into the digital age, The Polaroid One Step was MY kind of camera. Le sigh... The film pricing from Impossible Project is outrageous for what little you get. (The packs contain fewer photo blanks than the original Polaroid packs.) But it's the only option if you want a B&W instant film pack too. I moved on to Fuji Instax cameras instead - at least the film is readily available, albeit the image size is small - about "half a Polaroid." Fuji has come out recently with a new Instax Wide camera that uses - ta da! - wider film and is close to an original size Polaroid image. But no black & white film. Pook. Google "Fuji Instax" to find out all you need to know. Michaels crafts stores - of all places - carries the cameras and films - but they are usually out of stock on film. I bought a Polaroid Camera a couple of years ago and it uses wallet sized instant film which is $20 for 10 but I love it!